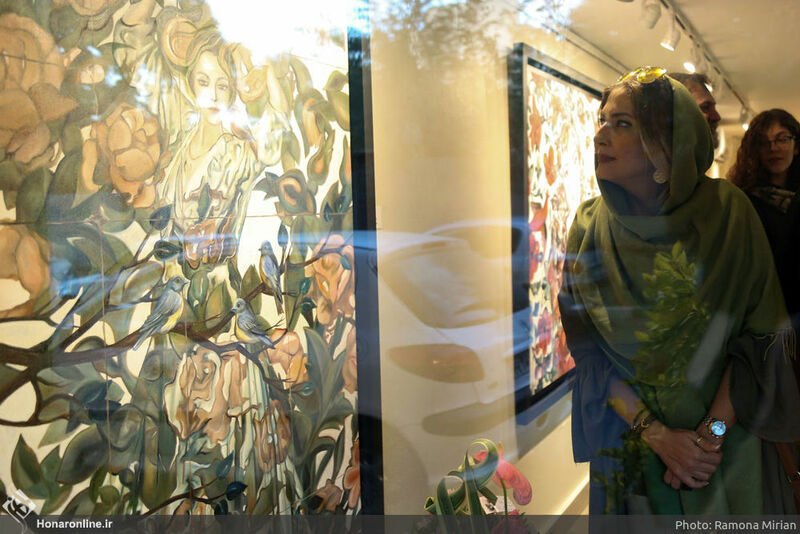 PayvandNews- Tara Behbahani has said that the paintings in her new collection “Passing through Imagination” dig up depictions of moments of happiness from the heart of history. 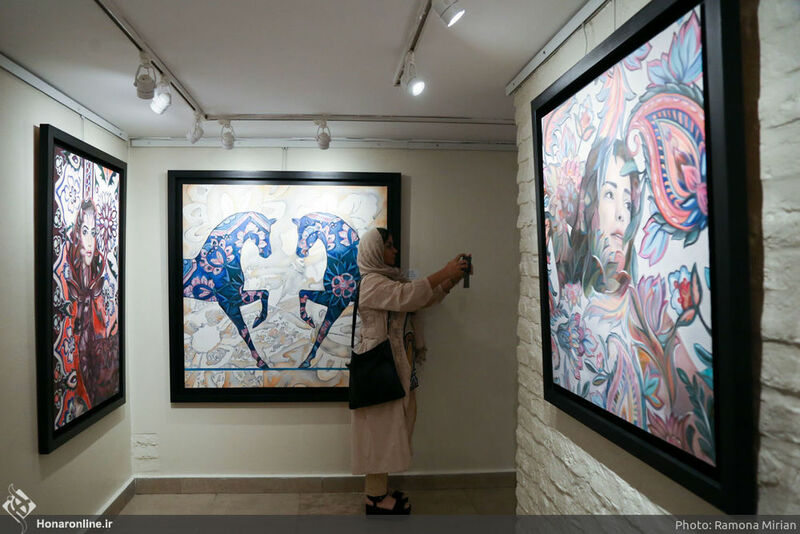 The collection, which depicts women on images of beautiful Persian tiles, is on display in an exhibition at Tehran’s Golestan Gallery. 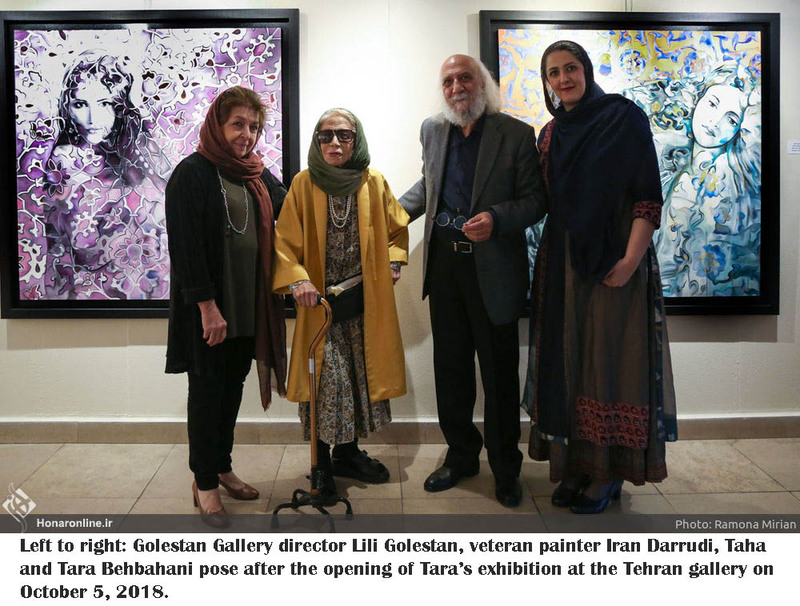 “It was in 2003 when I began working on the topic of Persian tiles, which led to a selection of abstract works, and few years later, images of women were added,” Tara, the daughter of prominent sculptor and painter Taha Behbahani, told the Persian service of Honaronline. 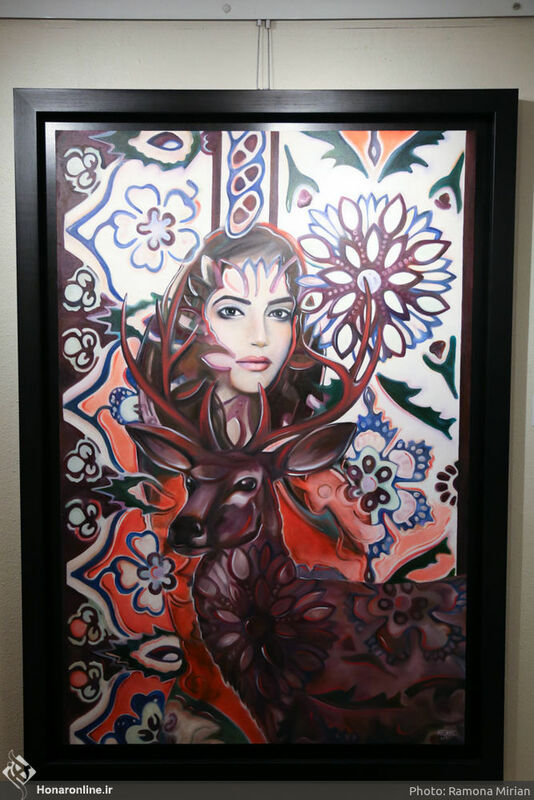 The collection has been inspired by motifs depicted on original tiles dating back to the Seljuk, Ilkhanid, and Timurid periods from the 11th to the early 16th centuries. 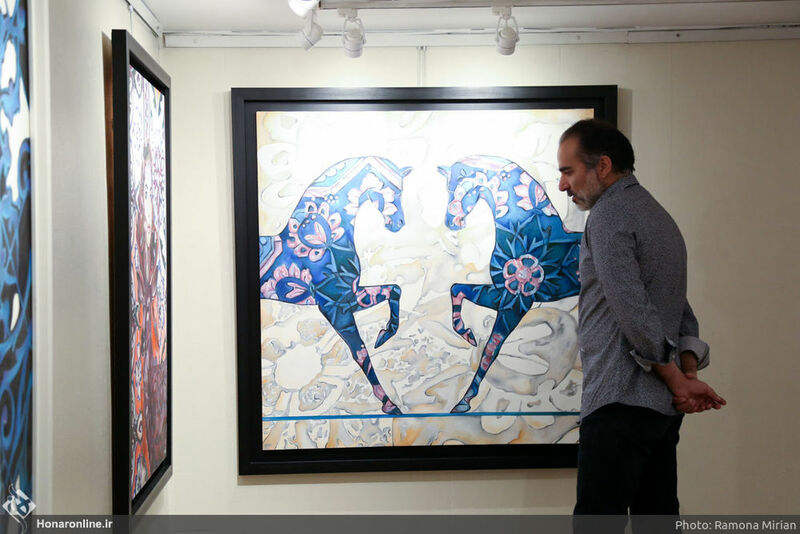 “The motifs and designs used on the Persian tile works convey different messages, and I chose those by which I was impressed the most. They have different meanings but have been correlated with pleasant moments. 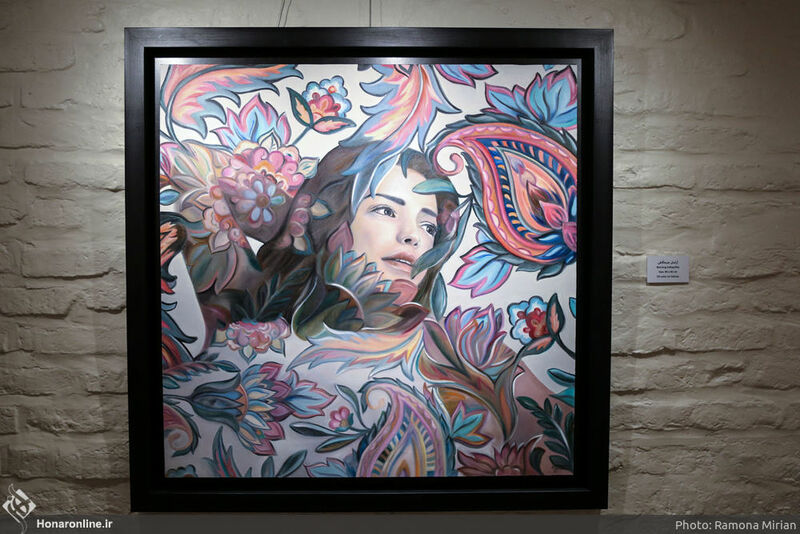 “The other point is that women have been oppressed throughout history and have always experienced a secondary status. 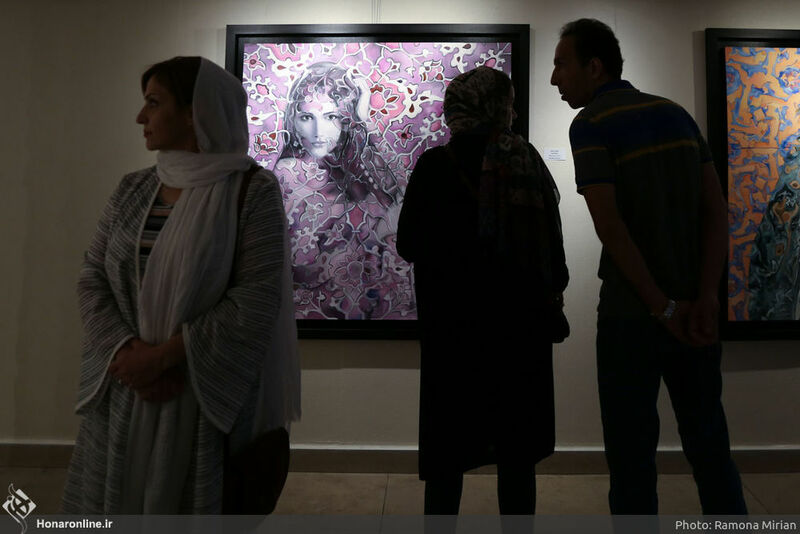 Although this has been lessened over the years, women still cannot attain their rightful position,” she explained. 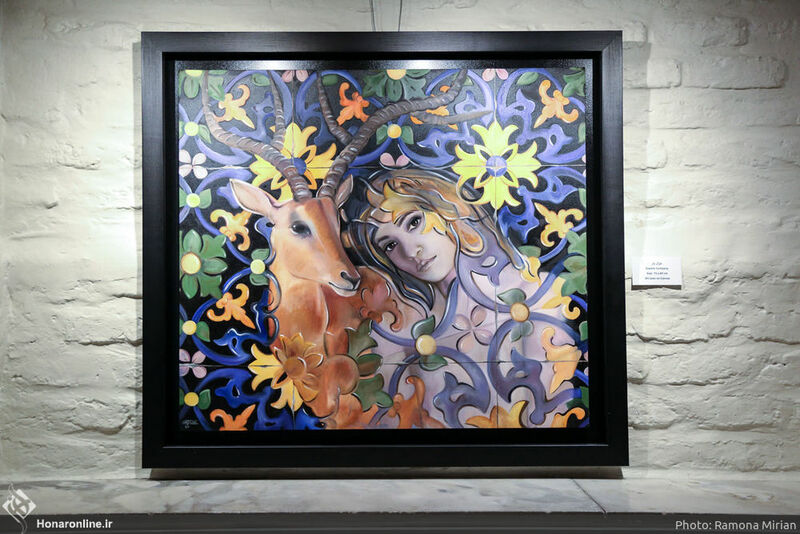 “I created this collection about three years ago when I was going through hard days following the birth of my two children, but the warm welcome of the visitors assured me I am on the right path and pushed me take my steps more seriously,” she concluded. 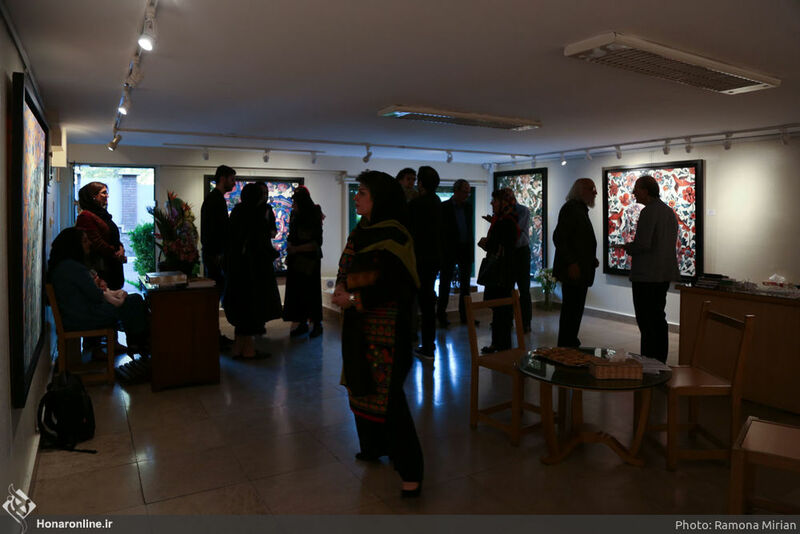 The exhibit will come to end today at the gallery located at 34 Kamasai St. in Tehran’s Darus neighborhood.